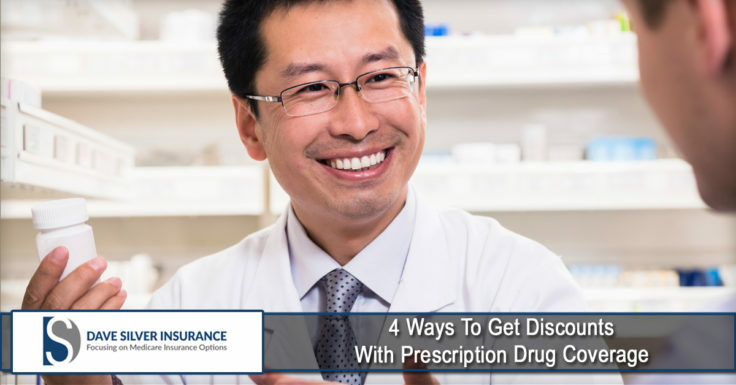 To help you spend less with the prescription drug coverage, you need to know which drugs are covered. Some health plans cover medications as long as it is prescribed but some drugs are only covered for treatment of specific health conditions. To help you know which drugs are covered, you have to secure a copy of the list of drugs or the formulary. You can ask a copy from your insurance company. • Before a Deductible – If the plan covers drugs before you meet the deductibles, then you will have to abide to copayments and coinsurance. Out-of-pocket-costs will depend on the price of each drug. • After a Deductible – There are health plans that don’t cover cost of prescription medicines unless you have paid your deductibles. • After a Special Prescription Drug Deductible – Some plans provide this kind of special deductible. This is usually separated from other medical care. • Tier 1: Generic Drugs Only – These can cost a lower copayment. • Tier 2: May Include Preferred Branded Medications – Copayment is expected to be higher. • Tier 3: May Include Non-Preferred Brand Medications – Copayment is expected to be high. • Tier 4: May Include Specialty Drugs – These include medications for specific health conditions and might have the highest copayment. For you to avoid unexpected costs related to drug coverage, you have to be wise at the first step when you are still buying your health plan. Choose the plan that will cover your maintenance medications and medicines that you perceived you need. Compare content offers and prices of each health plan. Medications are mostly part of the treatment and promotion of one’s health. Make prescribed drugs more affordable by securing Prescription Drug Coverage. Remember, your health is your wealth. At Dave Silver Insurance, we work hard in making sure that our clients are well-protected with policies that they can afford. To learn more about how we can help you, please contact our agency at (941) 907-2879 or Click Here to request a free quote.